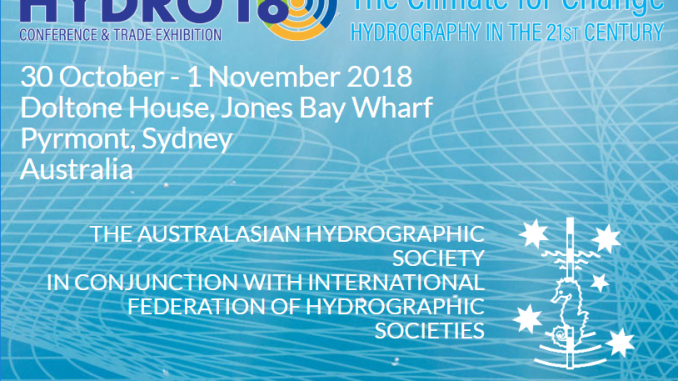 The Australasian Hydrographic Society (AHS) is hosting the HYDRO18 Conference and Trade Exhibition (HYDRO18) being held at Doltone House, Jones Bay Wharf, Pyrmont in Sydney, Australia during 30 October – 1 November 2018. EGS Survey Australia received the privilege to be a bronze partner of the Hydro18 this year. Dr. Richard Hale, one of the directors of EGS Group will speak about sound pollution generated by survey and geophysical survey operations in the ocean and its environmental effects in alignment with the theme of Hydro18 this year, the climate for change. EGS recently represented ICPC in United Nations’ Meeting to Discuss Anthropogenic Underwater Noise concluding that anthropogenic underwater noise is a topic of great environmental concern.